Conference Series LLC LTD invites all the participants across the globe to attend the "5th Global Congress on Spine and Spinal Disorders" (SPINE CONFERENCE 2019) conveys recent discoveries and developments in Spine surgery techniques and new methods of treatment. A complete knowledge of a scientific discipline that described and explores the use of Spinal Implants and Devices in the industry as well as healthcare markets. Conference Series organizes a conference series of 3000+ Global Events inclusive of 600+ Conferences every year across the USA, Europe & Asia with support from 1000 more scientific societies and publishes 700+ Open access journals which contain over 70000 eminent personalities, reputed scientists as editorial board members. SPINE CONFERENCE 2019 provides the importance of spine serves a number of purposes. It is made up of 24 moveable bones (vertebra) that support our weight, hold us upright and plays an important role in our movements. But its most important function is protecting our spinal cord and nerves as they branch out to all the other parts of the body. Spine health is something that individuals don't see until the point that it's no more. The center of a body is a skeleton and the center of a skeleton is the spine. The spine has several functions and spinal issues, even inconspicuous ones, for example, the loss of the normal spinal curves, can influence any of these functions and alternate parts of the body that rely on them. Spine problems can be multi-faceted. Research and advances in spine care, offer effective, conservative and surgical treatments. In fact, 90% of patients get better without surgery. spine specialization addresses the simplest problem to the most complex, from the easiest to the most difficult, caring for kids and adults of all ages. We strive to maintain nonsurgical care but have excellent surgeons if conservative approaches fall short of the goal. Surgical options range from minimally invasive surgery to the most difficult or revision cases. Spinal surgery is a high-hazard strength with a regularly expanding patient volume. Results are to a great extent good, yet neurologic harm, the most serious complication, may leave major sequelae, some of which can be life-threatening. Neurologic might be classified according to onset (per-versus postoperative) and surgical site (cervical versus thoracolumbar). The spine specialist is a piece of a multidisciplinary group, with the radiologist and electro physiologist, which can recognize risk factors preoperatively and analyse neurologic complications per-or postoperatively. Spine Biomechanics is the study of structure and function of Mechanical aspects of Spine. Spine is a Complex, remarkable and Mechanical structure which protects the spinal cord and nerve roots and provides flexibility to the trunk. Biomechanics can be utilized to evaluate spinal stacking and developments, to dissect stack dispersions and damage instruments, and to create helpful intercessions. Spinal discs degenerate for a variety of reasons. Cells within a disc can die naturally as we age, but the process is generally exacerbated by genetics, obesity, and smoking. Traditional treatment for lumbar degenerative disc disease includes over-the-counter pain and anti-inflammatory medications (such as Motrin), physical therapy, spinal mobilization, and surgery. However, the use of stem cells as a treatment has been rapidly gaining popularity. Stem cells are cells that are not specific to any one body part or function. They have the potential to develop into any type of cell in the body, and they divide and renew quickly, making them ideal for healing. When injected into the intervertebral discs, stem cells appear to exert an anti-inflammatory and immunomodulatory effect, relieving pain for patients with degenerative disc disease. In addition to degenerative disc disease, stem cells are being studied for use in treating spinal cord injuries, stroke, diabetes, heart disease, arthritis, and more. I look forward to contributing to this exciting field. Orthopedicians works on Osteopathic Medicine and it is a medical specialty that target on the body's musculoskeletal system, that comprise of bones, joints, muscles, ligaments, tendons, and nerves. Orthopaedist who develops oneself in the analysis and prescription of spinal diseases and conditions. Ortho spine surgeons provide non-operative and surgical treatment to patients of all ages, even supposing some focus on treating children (Pediatric) or adults. Some of the spinal complications such as scoliosis, degenerative disorders, or a region of the spine (cervical/neck, lumbar/low back) can be evaluated by few of the Orthopedic surgeons. Neuro spine, or neurological surgery, is the medical specialty bothered with the avoidance, interpretation, surgical treatment, and reclamation of disorders which influence any fragment of the nervous system along with the brain, spinal cord, peripheral nerves, and extra-cranial cerebrovascular system. Spinal stenosis happens when the spinal rope in the neck (Cervical spine) or the spinal nerve establishes in the lower back (Lumbar Spine) are compacted. Spinal stenosis is identified with degeneration in the spine and more often than not will end up plainly huge in the fifth decade of life and stretch out all through each ensuing age gathering. The three principle sorts of spinal stenosis are Foraminal stenosis, Central stenosis, Far parallel stenosis. This condition is for the most part found in grown-ups 50 and more established in which your spinal waterway begins to limit. X-beams, Magnetic reverberation imaging, CT-Scan are the determination for spinal stenosis. Early civilizations provided a wide variety of explanations for pain and attributed it to factors such as religious influences of gods, the intrusion of magical fluids, the frustration of desires and deficiency or excess in the circulation of Qi. The relief of pain therefore was the task of shamans or priests, who used herbs, rites, and ceremonies to alleviate pain. The goal of pain medicine is to manage acute or chronic pain by reducing pain frequency and intensity. All parts of the spine undergo changes as we age with the presence of spinal distress, decreasing strength and pain. Musculoskeletal changes are more prevalent in old age people. As a consequence, increasing age is concomitant with limited abilities for work and leisure activities Regular physical activities are important to maintain optimal mobility and general health. Cellular Senescence, apoptosis, post translational modifications, oxidative stress, genetic predisposition age the general changes of spine. Spinal disorders can be treated without surgery less than 5% of patients with a spinal disorder ever require a spine surgery. Several non-surgical options are recommended to treat spinal stenosis. Wide varieties of medications are there to relieve pain inflammation and muscle spasm. Epidural injection is the most common type used to alleviate symptoms of spinal stenosis. The duration of time require for this non-surgical treatment differs from patient to patient. Spinal instrumentation provides permanent solution to spinal instability. Spinal instrumentation incorporates bars, snares, twisted link, plates, screws, and interbody confines. Spinal instrumentation uses a surgical system to embed titanium, titanium-compound, stainless steel, or non-metallic gadgets into the spine. Embedded instrumentation promptly settles the spine after surgery, including quality, and keeps up legitimate arrangement while combination happens. Contingent upon the sort of combination and instrumentation played out, the patient may need to wear a prop after surgery for included help amid mending. Spinal line damage (SCI) is the damage of the spinal line from the foramen magnum to the cauda equina which happens because of impulse, entry point or wound. The most widely recognized reasons for SCI on the planet are car crashes, shot wounds, cut wounds, falls and games wounds. There is a solid connection between utilitarian status and whether the damage is finished or not finish, and in addition the level of the damage. The consequences of SCI convey harm to freedom and physical capacity, as well as incorporate numerous confusions from the damage. Neurogenic bladder and gut, urinary tract diseases, weight ulcers, orthostatic hypotension, breaks, profound vein thrombosis, spasticity, autonomic dysreflexia, aspiratory and cardiovascular issues, and depressive issue are visit entanglements after SCI. SCI prompts genuine handicap in the patient bringing about the loss of work, which brings psychosocial and financial issues. The treatment and restoration period is long, costly and debilitating in SCI. Regardless of whether finish or fragmented, SCI recovery is a long procedure that requires persistence and inspiration of the patient and relatives. Early restoration is vital to avert joint contractures and the loss of muscle quality, preservation of bone thickness, and to guarantee typical working of the respiratory and stomach related framework. An interdisciplinary approach is basic in restoration in SCI, as in alternate sorts of recovery. The group is driven by a physiatrist and comprises of the patients' family, physiotherapist, word related advisor, dietician, analyst, language instructor, social laborer and other expert authorities as essential. Inborn deformations of the spine are spinal distortions distinguished during childbirth that are a result of peculiar vertebral improvement in the foetus. Minor hard mutations of different types happen in up to 12% of the overall public and are generally not evident, regularly recognized just on routine chest films or lumbar spine films (see the picture beneath). Interestingly, intrinsic spinal abnormalities that outcome in dynamic spinal deformation are moderately uncommon, happening with a revealed recurrence of 0.5/1000 births. Innate irregularities of the spine have a scope of clinical introductions. Some intrinsic variations from the norm might be generous, causing no spinal distortion and stay undetected all through a lifetime. Others might be related with serious, dynamic spinal distortion prompting even paraplegia Spinal Fractures and Injuries. Spinal cracks happen when the bones in your spine, called vertebrae, break and crumple which occur because of injury or damage, for example, awful fall or auto collisions. Consistently a huge number of individuals experience the ill effects of spinal cracks. Vertebral pressure breaks are the most widely recognized sort. Spinal crack manifestations incorporate sudden beginning back torment enduring longer than a couple of days particularly in individuals who have or in danger of having osteoporosis or low bone mass. Spinal cracks are as regular as hip breaks. Spinal breaks are most normal in postmenopausal ladies more than 55. In the event that the spinal crack is left untreated it prompts expanded forward arch. Spine Radiology is commonly done in Cervical and Thoracolumbar regions. Clinical contemplations are especially essential on the grounds that – typical C-spine X-beams can't reject huge damage – a missed C-spine crack can prompt passing – long lasting neurological shortfall. Clinical-radiological appraisal of spinal wounds ought to be overseen by experienced clinicians. Imaging ought not to defer resuscitation. CT or MRI is regularly proper with regards to high hazard damage, – neurological shortage, – restricted clinical examination, or – where there are hazy X-beam discoveries. Spinal tumours are the strange development of cells in the spine the phones develop and duplicate anomalous to cause a spinal tumour this is called essential tumour spreading of these irregular cells to the spine from the tumour in another piece of the body this is called auxiliary tumour or a metastasis. The reason for essential tumour is obscure, auxiliary tumours are constantly caused by a harmful tumours spreading from another piece of the body. With any surgery, there is the danger of difficulties. At the point when surgery is done close to the spine and spinal rope, these complexities (on the off chance that they happen) can be intense. Complexities could include ensuing torment and hindrance and the requirement for extra surgery. An assortment of surgical methodologies is accessible for the treatment of spine sicknesses. Confusions can emerge intraoperatively, in the prompt postoperative period, or in a deferred design. These complexities may prompt extreme or even lasting horribleness if left unrecognized and untreated. Here we survey a scope of complexities in the early postoperative period from more considerate confusions, for example, postoperative queasiness and retching (PONV) to more dreaded inconveniences prompting lasting loss of neurological capacity or death. Degenerative spine conditions include the slow loss of ordinary structure and capacity of the spine after some time. These are generally caused by maturing, tumours, and contaminations or joint inflammation. The indications of degenerative spine conditions are spinal distortion, constrained movement, torment, nerve wounds and so forth x-beam investigation of spine, attractive reverberation, and processed tomography are analysis for degenerative spine conditions. Treatment relies upon the seriousness of the condition non-surgical treatment is required much of the time which incorporates exercise to expand adaptability and muscle quality, supports or solution. Surgery might be required in more extreme cases including herniated circles or spinal stenosis. An evaluation instrument has turned out to be standard in many foundations. In many fields of prescription and especially in spinal surgery, it has turned out to be apparent that treatment result is impacted by a huge assortment of non-morphological elements. Psychosocial perspectives and business related factors regularly show a higher prescient esteem than pathomorphological and surgical perspectives. In this way, it has progressed toward becoming clear that a significant result evaluation ought to consider a large portion of these frustrating factors, which, notwithstanding, isn't generally conceivable to accomplish in a occupied clinical practice . Spinal implants market has been classified at high speed developing market and it is expected that the market will reach the most successful point in the coming future. Surgeons during the surgery use devices like Spinal implants for treating deformities, stabilizing and providing strength to the spine and to promote the fusion process. Disorders like degenerative disc disease, scoliosis, kyphosis, fracture, and spondyloses can be treated by using Spinal implants. The bone density decreases as the age increases leads to the back-bone defects and the chronic age related changes of spine. This raises the possibility to damage the spinal cord. Recently there have been amazing alteration in the implantable devices; the use of the implants in the spinal and orthopaedic surgeries has elevated. The advancements in the spinal implantable devices has found wider acceptance across the globe and large population is willing to spend on the spinal surgeries involving the use of implants. The demand for the surgical procedures has strengthen due to the benefits grant by it, such as less blood loss, reduced recovery time, reduced risk of medical complication, infections, pain and muscle damage. The high acceptance rate of the minimally interfering spinal surgeries has boosted the market for spinal implants. Spine surgery is one of the fastest-growing surgical techniques and has evolved into one of the major segments of the orthopaedic and neurology industries. It forms an inter-linking of the two important segments of healthcare- orthopaedics, and neurology and requires the expertise of both the medical fields. Overall, Global Spine Surgery Market is estimated to grow at a CAGR of 5.8% to reach $16.7 Billion by 2025. The Spine Surgery market includes surgical devices, implants, spinal fusion, spinal biologics and spinal intra-operative imaging modalities. Decrease in obesity, malnourishment, osteoporosis and other calcium. Unavailability of Ortho-neuro consultants in regular health care centres. The global spine fusion market comprises of inter-body devices, pedicle screw systems, spinal plating systems, and vertebral body replacement devices, priced at $7.1 billion in 2016 which is expected to grow at a CAGR of 3.4%. With an ever-increasing preference for Minimally Invasive surgical procedures, Spinal Surgery has also developed a minimally invasive procedure which helps in faster recovery, especially in the elderly patients. According to market prediction, the spinal minimally invasive surgery market is touted to grow at a CAGR of 7.8% to reach $5.5 Billion from the estimated $3.87 Billion in 2018. Spine Biologics market includes BMAC, Bone Graft Substitute, Bone Graft, & Platelet Rich Plasma that are used during fusion surgeries and treatment of degenerative disc disease. Spine Biologics Market is valued at $2.24 Billion in 2018 and is expected to reach $2.8 Billion by 2023, at a CAGR of 4.4%. Osaka, is one of the popular city in the Japan and is considered as an important centre for higher education healthcare, well reputed and prestigious colleges and Universities in and around Osaka. 1000's of researchers, neurologists, therapists, and Spine surgeons are working solely on Spine neurological disorders in Osaka. The spinal cord damage is dealt with by the world-class specialists in the Osaka with the advancement of restorative research and compelling medications. 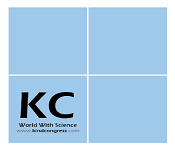 Osaka conferences indeed play a vital role in promoting scientific information and ideas all over the world. It can be estimated as a proper means for the sharing of valuable information about research and new progressions in the fields of Spine and Spinal Disorders worldwide. The conferences being held here would benefit a diversity of scientific approaches among contenders belonging to diverse areas of science and technology. They serve as a significant centre of gravity for reputed and profoundly affiliated global scientific leaders and provide an opportunity for reviewing the various research highlights at an international podium. Osaka offers a rich, social scene of Japan. You will get yourself impress by the cuisine, the workmanship, modernistic construction and bold architecture, luxury shopping, a business hub and of course lively nightlife scene and the vacationer destinations. Many individuals take their vacation in Osaka consistently to appreciate the casual way of life. 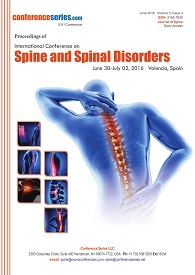 The Spine and Spinal Disorders 2019 is a one of a kind stage which plans to talk about and produce new thoughts for researchers, advances related to Spine and Central Nervous System. Spine and Spinal Disorders conference is a chance to bring far and wide centered around finding out about Spine and Central Nervous System. The meeting unites a portion of the most recent, most interesting examination from around the globe. In a little and close interactions of scientists and clinicians from all edges of the world can trade thoughts, share discoveries and talk about future joint efforts. This will create a more extensive global learning base and magnificent advances in the field of Spine and Spinal Disorders. 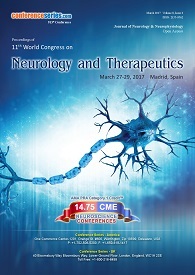 Widely acclaimed speakers, the latest methods, and the most current updates in Spine and Spinal Disorders are signs of this gathering. Spine and Spinal Disorders 2019 will witness a get together of specialists from everywhere throughout the world who will display their cutting-edge research for the improvement of Neurological well-being. Students from academia in the research on Spine. All those providing care and treatment to patients with Spine and CNS Disorders. Fujita Health University and etc. We gratefully thank all our wonderful Speakers, Conference Attendees, Students, Media Partners, Associations and Exhibitors for making Spine Conference 2018 Conference the best ever! 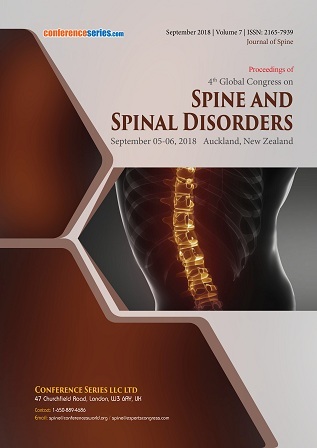 Conference Series LLC successfully anchored its leading "4th Global Congress on Spine and Spinal Disorders" slated September 05-06, 2018 at Auckland, New Zealand. Spine Conference 2018 is distinguished with the attendance of Editorial Board Members of supported Journals, Scientists, young and brilliant researchers, business delegates and talented student communities representing more than 25 countries, who made this conference rewarding and fecund. Conference Series has taken the privilege of felicitating Spine Conference 2018 Organizing Committee and Keynote Speakers who supported for the success of this event. Conference Series, on behalf of the conference sponsor appreciates all the participants who put their efforts for this event and sincerely wishes them success in future endeavours. The esteemed guests, Keynote speakers, well-known researchers and delegates shared their innovative research and vast experience through their fabulous presentations at the podium of grand Spine Conference 2018. 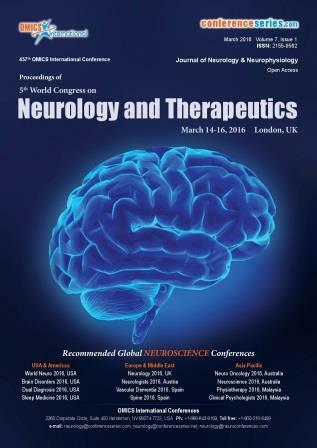 We are glad to inform that all accepted abstracts for the conference have been indexed in “Journal of Spine” as a special issue. We are also obliged to various delegate experts, company representatives and other eminent personalities who supported the conference by facilitating active discussion forums. 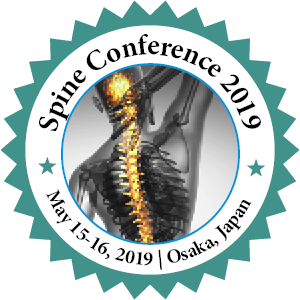 With the unique feedbacks from the conference, Conference Series would like to announce the commencement of the “5th Global Congress on Spine and Spinal Disorders” to be held during May 15-16, 2019 at Osaka, Japan. Mark your calendars for the upcoming meeting to divulge the advances in spine heath for expansion of the world’s knowledge; we are hoping to see you soon!